Itasca has built a reputation for producing the most reliable RVs available today. Itasca Motorhomes are some of the most affordable on the market and have a rich history of innovation and quality. Itasca RVs are a luxury to own, giving you the freedom to travel in a spacious atmosphere while staying comfortable. Itasca RVs are meant to be enjoyed so when something goes wrong, it can be a big hassle. If something doesn’t sound right with your Itasca or a check engine light has come on, don’t wait for a quick fix to turn into a major repair. At Coopers Auto Repair Specialists, we perform nearly every imaginable service on Itascas in the Tacoma, WA area. From major repairs to routine maintenance, our expert ASE Certified technicians are here to help. If you take your Itasca to just any shop, you may be charged for parts and repairs you don’t need. This not only causes more stress but hurts your wallet as well. 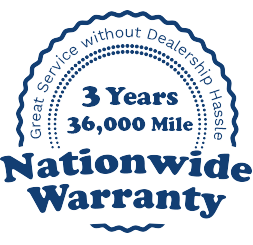 Our technicians operate at the highest level of integrity, which means we will recommend and perform only necessary repairs or service on you Itasca. Bringing your Itasca to our shop means that your vehicle will be treated with the care and respect it deserves. We strive to maintain 100% customer satisfaction in all our Itasca repairs and services. When you bring your Itasca to Coopers Auto Repair Specialists, you can rest easy knowing that our highly qualified technicians have worked on vehicles just like yours and know the ins and outs of your Itasca. We understand that you depend on your Itasca and taking your vehicle to the shop isn’t your idea of fun. Maybe you were about to take that big family trip only to find that there is something wrong with your Itasca. Our goal is to keep your RV running in the best possible condition. We want to get your Itasca out of the shop and back on the road as quickly and safely as possible. So whether its a major repair or just routine maintenance, trust the experts at Coopers Auto Repair Specialists for all of your Itasca repair and maintenance needs.